I am so thrilled with this new swimsuit pattern, and if you’ve never sewn swimsuits but thought about it, then this is the swimsuit pattern for you. Designs by Call Ajaire just released her new Sash Swimsuit pattern, and I just can’t say enough good things about it! I really love how this one turned out! I have been hoarding this mermaid fabric from Peek-a-boo Fabrics since last year, and I finally felt like this was the perfect suit for it. Plus, I finally fit my girl in a 1-piece! The pink swim fabric is this nylon/spandex in watermelon pink from Imagine Gnats. I’ve ordered it twice now and love, love, love it! Actually I love all of her swim fabric and have used several of them now, so I highly recommend them. Peek-a-boo Fabrics (*afflink) has amazingly cute swim fabric prints, but they’re a bit thinner and can slip around while sewing. Also, you can see my girl’s light pink lining peeking a bit when the swim fabric stretches over her bottom. I don’t see this as an issue if you’re lining your suits, and the Sash Swimsuit is fully lined. I just couldn’t get over how cute Peek-a-boo’s prints are though and have ordered several more! I followed the fitting instructions in the pattern, which are very thorough and provide an excellent fit based on your child’s measurements. 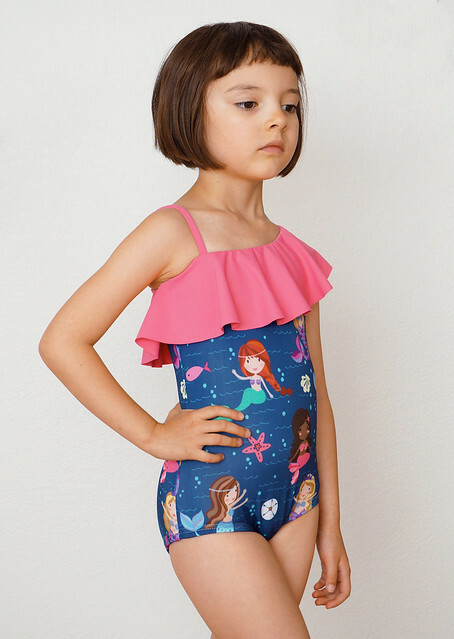 I mean, if we’re not trying to ensure our sewn swimsuits actually fit our girls, then what’s the point right? Maybe it’s the sewist in me, but it really annoys me to see girls running around with their swimsuits sagging all over the place, or riding up, or riding down. It’s probably because they’re hand me downs and the elastic is shot, but it irritates me just the same. 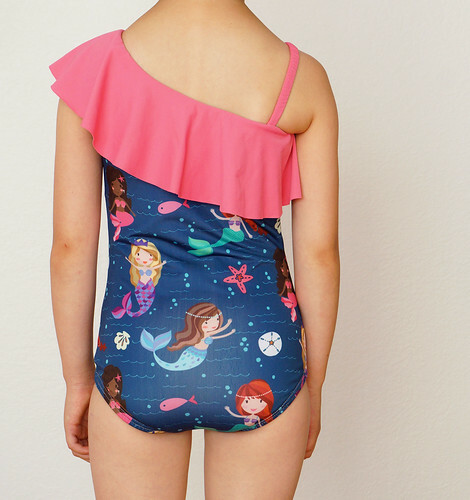 I put together a how-to-fit blog post for Call Ajaire, so if you want to find out how to easily fit this swimsuit for your child, all the info is there in the “Sash Swimsuit – Getting the right fit” post. I take you step by step through the fitting process, and I pretty much hold your hand! Maggie put a sewing tips post together for sewing swimsuits with a sewing machine, and Ajaire also just posted her sleeves pattern for the Sash and Classic Maillot today. Remember I tested them way back when here. So have I convinced you to try sewing swimsuits? Do you think you’re ready? Now I think I’m ready to make myself one. 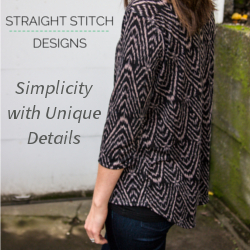 I have the pattern selected and now I just need to work on the fitting. I can’t wait!